Nguyen Hoang Long was born in Vietnam, 1976. He specialized in oils and has developed a reputation for creating paintings that are philosophical and simple with strong colors that describe the traditions and ways of the Vietnamese people. 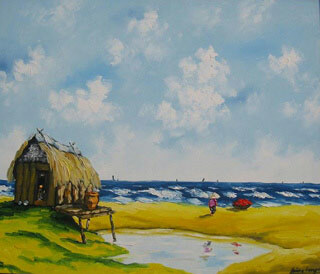 Nguyen is an active member of the Vietnamese Fine Art Association and Hanoi Fine Arts Association.